The CNMI National Table Tennis Team pulled out from the 2018 Micronesian Games with less than two weeks before the quadrennial event in Yap kicks off. Northern Marianas Table Tennis Federation president Ted Deleon Guerrero cited the group’s difficulty in securing travel documents and monetary problems as reasons for their withdrawal. The federation initially committed to send eight athletes and two coaches to the Micro Games, which will kick off on July 15 and will run until July 27. 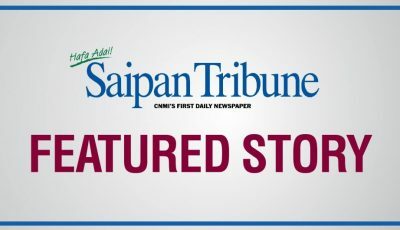 Deleon Guerrero added their members are not U.S. passport holders and they were not able to secure documents to pass through Guam for a connecting flight to Yap. “It is regrettable that the Northern Marianas Table Tennis Federation will not be able to participate in the Micronesian Game. We tried to apply for the I-90 special visa for travel, but unfortunately the NMTTF can’t afford the application fee that is $575 and $80 for biometrics per person,” Deleon Guerrero said in a letter sent to Northern Marianas Sports Association president Michael White last Wednesday. “The NMTTF will return any funds allocated for the Micronesian Games,” he added. 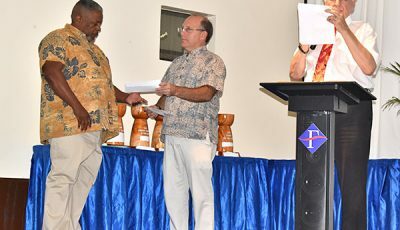 NMSA gave $500 to each participant (coaches and officials alike) in the Micronesian Games. Airfare costs for the trip to Yap is between $700 and $800, while per diem is $35. With the table tennis out, Team Marianas is left to compete in eight events—baseball, basketball (men’s and women’s), indoor volleyball (men’s), athletics, spearfishing, ocean swim, weightlifting, and canoe (men’s and women’s). Meanwhile, NMSA is requiring all federations sending teams/athletes to Yap to settle their per diem payments on or before July 14.